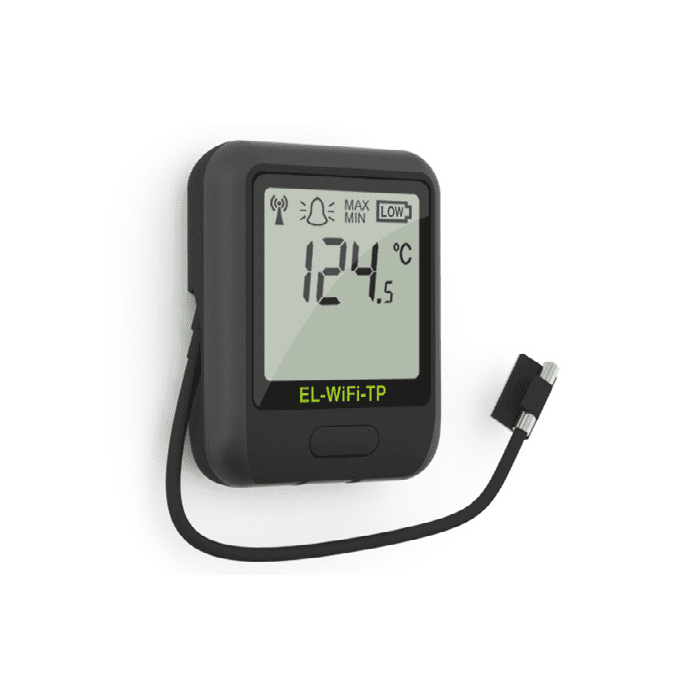 The Lascar EL-WiFi-TP WiFi Temperature Data Logger measures the temperature of the environment in which the probe is situated. Data is wirelessly transmitted via a WiFi network to a PC and viewed using a free software package. During configuration the sensor will search for an existing wireless network while physically connected to the PC. It can then be placed anywhere within range of the network. If the sensor temporarily loses connectivity with the network, it will log readings until it is able to communicate again with the PC application (max 120 days at 10 second sample interval). The range of the sensor can be increased by using WiFi extenders. USB supply voltage 4.5V 5.5V Vd.c.